The idea for this OTN ArchBeat podcast was suggested by Oracle ACE Director Mia Urman, a self-described Oracle Forms fanatic. According to Mia, developers have been building mission-critical systems in Oracle Forms for decades, and many organizations have huge investments in these systems. These organizations are now looking for ways to bring these investments forward into mobile, cloud, and other next-generation technologies. 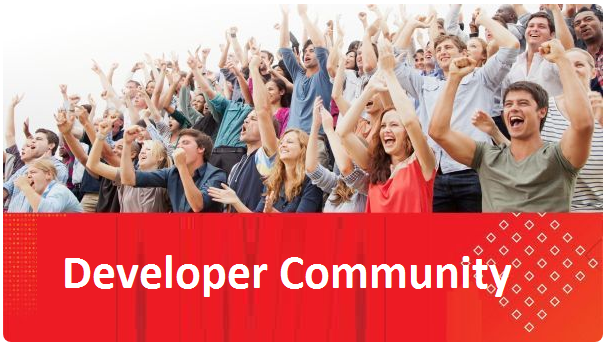 This represents an huge opportunity for experts in relevant Oracle technologies. The discussion captured in this podcast addresses some of the available modernization strategies in order to provide guidance for those who want to take advantage of that opportunity. Mia also selected the panelists for this discussion. · Listen to Part 1: Many mission-critical applications built on Oracle Forms need to be brought into the 21st century. What are the options? · Listen to Part 2: A discussion of use cases illustrating modernization strategies for Oracle Forms applications. 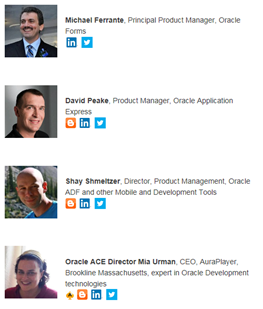 · Listen to Part 3: A discussion of how Mobile and other factors that are driving the need for the modernization of Oracle Forms applications.